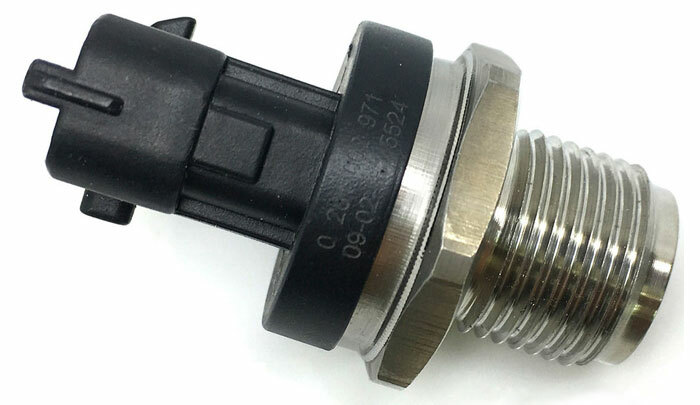 A fuel rail pressure sensor (commonly known as a fuel pressure sensor) is used in many diesel and some gasoline engines. 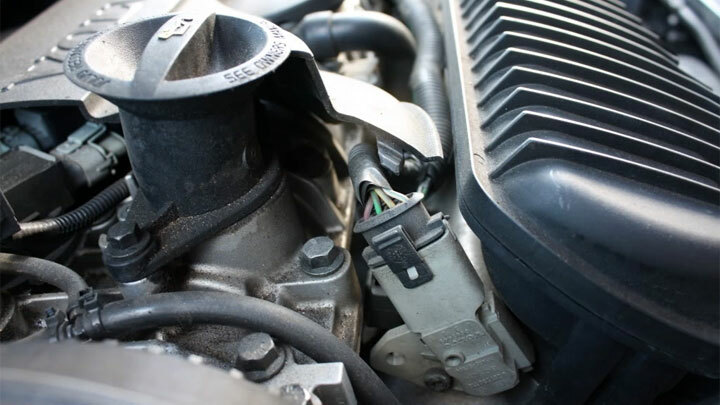 This sensor is usually located near the middle of the fuel rail and is linked to the engine control unit (ECU), which is the central computer of a vehicle. It shouldn’t be confused with the fuel tank pressure sensor which is located inside or on top of the fuel tank. So what happens when the fuel rail pressure sensor goes bad and how will you know? 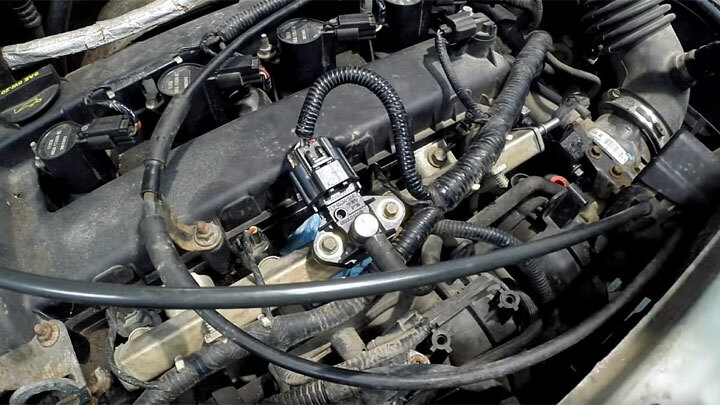 Keep reading to see what a fuel pressure sensor does and common symptoms to look for with a faulty fuel pressure sensor. What Does a Fuel Pressure Sensor Do? The purpose of this sensor is to keep track of the fuel pressure within the fuel rail. As the sensor detects this information, the data gets transmitted to the engine control unit. From there, the computer will analyze the data and make the necessary changes to the timing of the fuel injections and the quantity of the fuel being injected. This allows for optimal engine performance for the current driving conditions. The engine control unit will specify the correct amount of fuel that the engine needs. 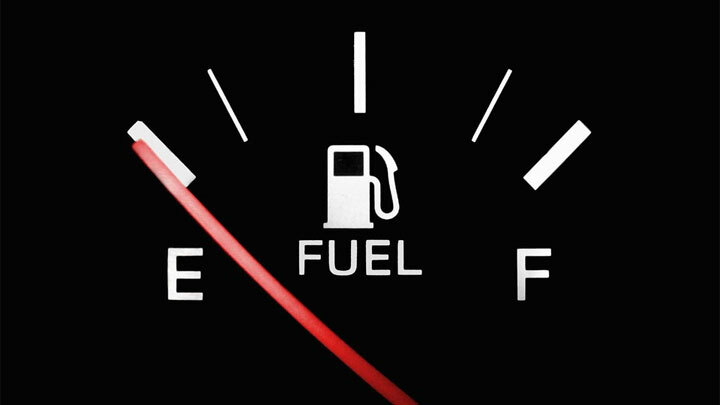 If more fuel than necessary is injected into the combustion chamber, your fuel economy worsens. Not only that, but the lifespan of emissions related parts decreases and excess carbon emissions are expelled into the atmosphere. Since most vehicles on the road today are made to be as environmentally friendly as possible, this makes the fuel rail pressure sensor a vital component that must remain functional at all times. If there is a problem with the fuel rail pressure sensor, the engine control unit won’t be able to do its job properly. Here the 5 most common signs of a bad fuel pressure sensor. 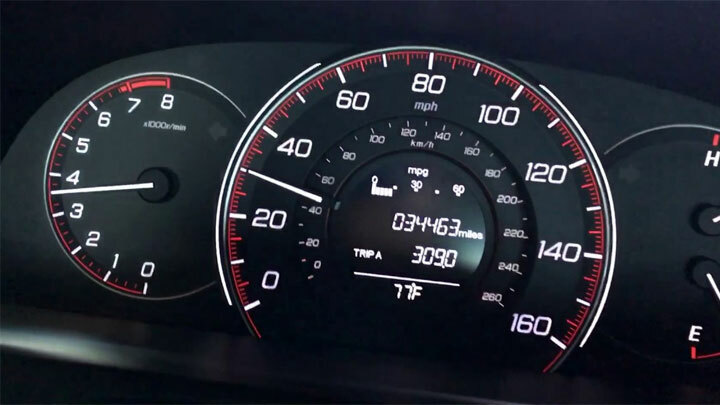 When your fuel rail pressure sensor goes bad, the “Check Engine” warning light may illuminate on your dashboard. This light activates whenever the engine control unit detects an issue within the vehicle that affects the engine in some way. This doesn’t always mean the engine itself is bad, but rather something else in the vehicle which is not allowing it to do its job properly. You probably won’t know it is the fuel rail pressure sensor at first but using a diagnostic scan tool can often confirm the issue. P0190, P0191, P0192, P0193, and P0194 are the most common DTC codes indicating an issue with the fuel rail sensor. If you have a bad fuel rail pressure sensor, the ECU won’t send the right amount of fuel to the engine. This will make it difficult to start your vehicle. When this problem first occurs, it will probably take a couple attempts cranking the engine before it starts. But as the problem gets progressively worse, it will take more and more attempts to start. Eventually, the engine won’t start at all. When you step on the gas pedal and the vehicle does not accelerate like it’s supposed to, then you could have a bad fuel pressure sensor. The engine control unit is not able to transmit the signal properly to the fuel system because it gets inaccurate information from the sensor. That means it won’t know how to accommodate the fuel demands being placed on the engine. Engine stalling might occur as the fuel rail pressure sensor goes from bad to worse. You will be driving and then suddenly, your engine will stall. It may also stall while idling. This will make driving extremely difficult (and dangerous) and it should motivate you to do something about it. Take your vehicle to the nearest auto shop right away and get your sensor replaced if it turns out to be the cause. When your fuel pressure sensor doesn’t work like it should, you’ll notice a considerable reduction in fuel economy and mileage. Either your engine control unit will send too much fuel or not enough fuel through the fuel rail and into the combustion chamber. You will quickly notice more trips to the gas station and more money out of your pocket. Those will larger vehicles will usually notice a reduction in fuel economy the most. For instance, the fuel economy of a Duramax engine will be affected more noticeably than something like a Honda Civic. The cost to replace a fuel rail pressure sensor can vary quite a bit depending on make and model of your vehicle. On average, expect to pay between $200 and $340 total for a fuel rail pressure sensor replacement. Parts alone will set you back about $60 to $100 and the labor cost to replace the sensor will cost between $140 and $240. Of course, you’re usually going to pay more when you have a dealership perform the work compared to an independent mechanic. Unless you have a good amount of auto repair experience, you should not attempt replacement yourself in most cases. Hi.I have an open vivaro 1,9 cdti the car does start properly when its cold it does pour too much fuel on the engine smoking all the way black smoke and it wouldn’t burn that diesel anymore as its too much then it will just stops for it to start again I must wait for at least 2 hours to start as diesel will be sinked.so its a problem to me I don’t know what could be the problem fuel rail pressure sensor or injectors. Hi, i have a 2009 2.0 tdci (140) smax, and the motor crankshaft but doesn’t start hot, i’ve to wait until it comes to 60° to start. I’ve also changed the crank and cam sensor, the ect sensor, and now i see on cold start the rail pressure is 430/450 kPa. On hot the rail pressure is 210 kPa. What can i do? Thanks. am asking a bad Fuel Rail Pressure Sensor may lead to P0741 ?????? It wouldn’t. P0741 is transmission related.